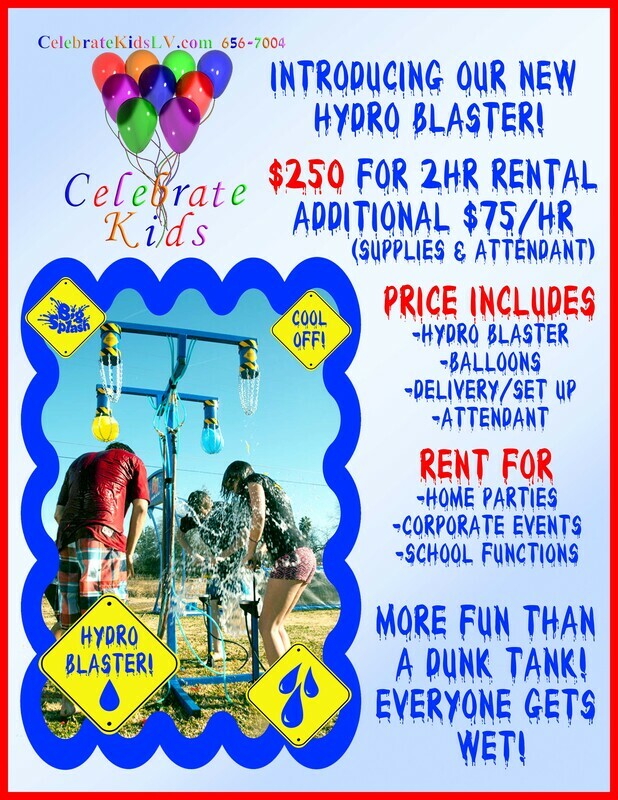 Welcome our new HYDRO Blaster!! 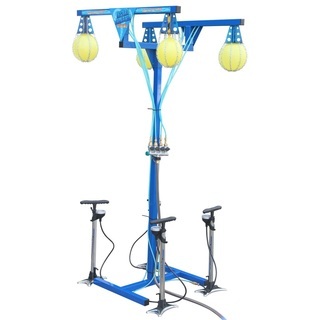 This competitive based game will keep kids entertained and excited each time it is rented out! 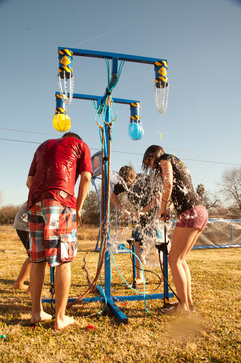 ​The Hydro Blaster is the new movement to the dunk tank experience without all the mass water usage and mess. Your attendant will stage each competition, by placing 9 inch balloons inside the drop bags. Once set up, he has 4 people get into position next to each of the 4 pumps. On his count, they begin pumping. The goal is for each to pop a balloon of water over their opponents head. There are 2 winners for each round. We need approximately 10 x 10 area and a water source within 50 feet. Your attendant arrives approximately 30 minutes before start time to set up. We first lay out an artificial grass mat for it to sit on. We bring all supplies and balloons. Our attendant is responsible for clean up and dismantling the equipment at the end of the rental.